Sys-Kool has solutions to all your cooling tower and fluid cooler needs. 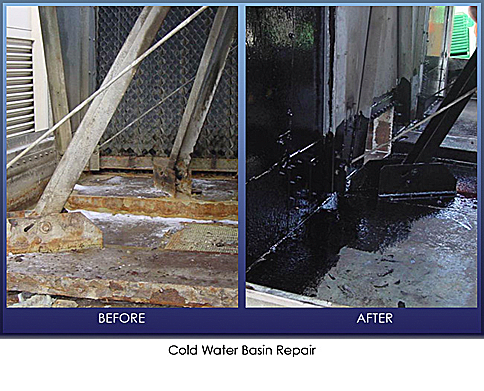 We do anything from routine maintenance and cleaning to complete rebuilds of cooling towers. Our qualified and experienced crews service most sizes and models of cooling towers regardless of age or manufacturer. We warrant our parts and labor for one year. The safety of our employees and customers is important to us. Our crew members are OSHA certified. We maintain workman’s compensation, property, and liability insurance at all times. 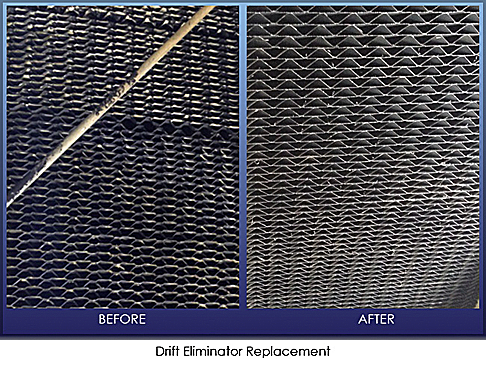 Give us a call, we will come do a free inspection of your cooling tower. Structural repairs and replacement (casings, fan decks, hot water basins, louvers, fill, drift eliminators, structural steel and lumber members, distribution systems, etc.) and mechanical equipment replacement (motors, driveshafts, gear drives, fans, fan shafts, equipment supports, etc. provided. Replacement coils and installation provided. Emergency response and repairs provided. Assistance available to supervise installation of factory-built cooling towers and fluid coolers. Labor available to install accessories (ladders, handrails, safety cages, equipment platforms, vibration switches, etc. Construction of field-erected cooling towers. Fiberglass-structured and wood-structured cooling towers field-erected by our qualified and experienced labor crews. Demolition and removal of cooling tower components and debris making way for the arrival of new equipment. Basin Cleaning Service is available using portable cleaning equipment specifically designed to clean cooling tower basins. 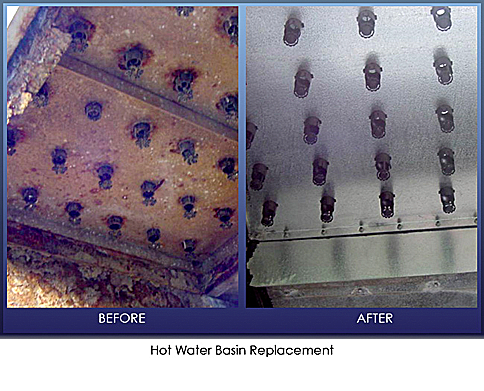 Repairs to and replacements of basins plus application of protective coatings specifically designed to seal leaks, extend equipment life and restore corroded surfaces. Coatings available for galvanized steel and wood basin applications. 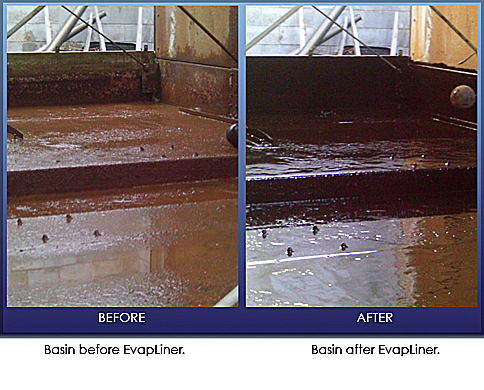 Click Here to view Fire Retardant EvapLiner video. Analysis of your present cooling tower installation and recommendations provided for filtration using centrifugal flow separators, sand filters, strainers, or turbo-disc pod systems. 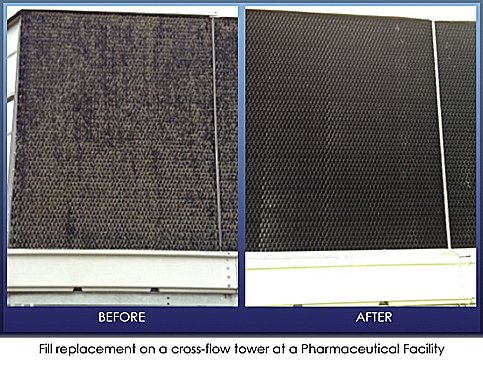 Poorly maintained cooling towers reduce cooler efficiency, waste energy, and increase costs. Analysis of present cooling tower inefficiencies and recommendations provided to return overall performance back to the original design capacity or better. Assistance available to help you size and select new or replacement cooling towers and fluid coolers.